The September and August NRP meeting minutes were accepted as drafted. Roy Woodstrom from Hosmer Library attended the meeting again and provided the group with a written request for Social Service Grant funding. He talked at length about the type of monthly programming that the funds will support. Knowles moved that a grant for $5000 be provided to Hosmer for cultural and community programming through August 2005. Zordich seconded. Ludwiczak offered an amendment to the motion that the library communicate monthly program information to KFNA via email with as long of a lead-time as possible, and that all programming should specify KFNA sponsorship. This amendment was accepted. All voted in favor of the motion and the amendment, except for Ludwiczak who declared a conflict of interest and abstained from voting. Linnes-Robinson updated the group on the pending Theisen Vending purchase agreement, which is at this point confidential. The successful completion of the Nicollet Avenue lighting petition seems possible. Since the last meeting Wherley secured the signature of the Werness Funeral Home, and the Morman Church and Mulroy’s Body Shop indicated they would support the project. A letter personally directed to all property owners that had not yet signed has yielded great results in returned petitions. Staff is working to secure all necessary signatures by the end of the month. Foran has committed to staying on to see through this project. Linnes-Robinson told the group she has been talking with Ralph Seivert, the head of the forestry department of MPLS Park and Rec. Seivert had put Kingfield next on the tree inventory list and the crew was supposed to have started the week before. KFNA Staff’s understanding was that they were inventorying all the boulevard trees in the neighborhood, which will show them the holes where they need to plant trees in the future. Staff was very clear with Seivert in the information she was looking for, specifically based upon the inventory and next years budget, how many trees would the Park Board plant in Kingfield. Linnes-Robinson requested to review the inventory and discuss this answer with Seivert so the committee then could decide how many additional trees it will want to provide in 2005. Trees for the project should cost about $90 each. A summary of Phase II housing options (NRP ‘pools’) was distributed by Wherley. The options, benefits and drawbacks of these pools were discussed. Most people present felt they needed more information on the programs, which Wherley said was available. Linnes-Robinson cautioned that although some of the programs seemed like they could help the group from having to reinvent programs (such as one directed to rental property rehabilitation), others seemed identical to what the neighborhood was already doing (the Emergency Home Repair Program) where we already hire an agency to administer the program for us. Additionally, she warned, just putting the money into something like a revolving loan pool does not guarantee that the details of the program (percentage rate, amount of the loan, types of projects, etc.) will make it desirable to the community. This has been the hurdle in establishing home repair programs according to Linnes-Robinson, not the administration of them, but creating them to fit the goals of the NRP Plan and yet be a good deal/worth the hassle for neighbors to use. Linnes-Robinson thought she had an electronic version of the housing programs proposed. If so, she will get this out to all committee members. Linnes-Robinson had not yet researched the maintenance contracts for any City Art bus shelters. Sean again asked for a representative to vote at the NRP Policy Board election on Nov. 18th, 2004. Rolf Johnson had agreed to attend and Arthur was willing to be the alternate. Some neighbors are working on the permanent removal of the SAFE officer from the teams in the 5th precinct. Kingfield has not been active on this issue and Staff has not felt there has been a great benefit from SAFE over the past few years. Due to the reduction of position and the direct communication they were to provide, however, being present at the 5th Precinct advisory committee meetings may be more important. Zordich and Rudy said they might be interested. Linnes-Robinson said she will get them the info again. Minutes prepared by Sarah Linnes-Robinson, 11/3/04. 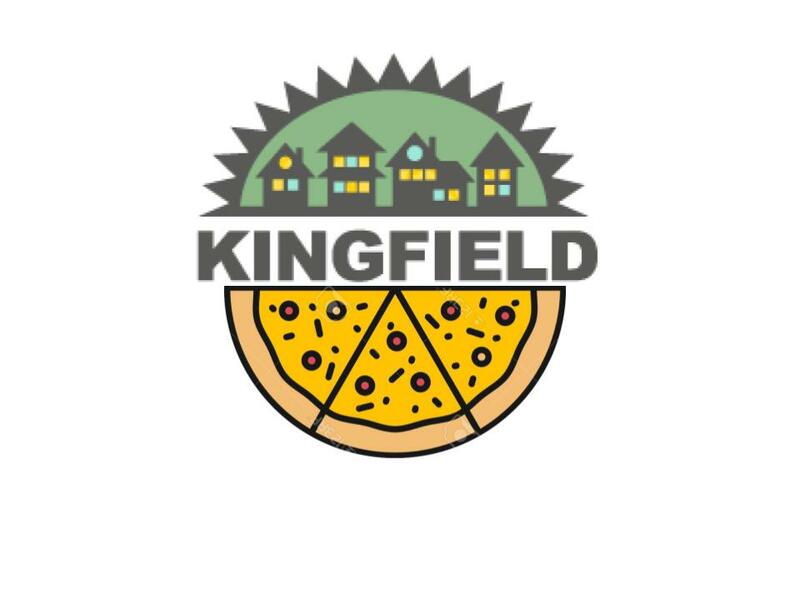 Motzenbecker called the meeting to order at 7:04 p.m.
Linnes-Robinson agreed to e-mail to board members the final amount made at the Kingfield Festival, which will be less than $600 gross profit. “Welch Companies” should be “Welsh Companies.” Knowles moved to adopt the Secretary’s Report; motion carried unanimously. Linnes-Robinson reported that the present audit of KFNA is “going fine;” results are expected in April 2005. Lindseth moved to adopt the Treasurer’s Report; motion carried unanimously with the exception of Ingram’s abstention. With regard to funds for the 40th Street Pedestrian Bridge (minutes 9/1/04), Wherley questioned the wisdom of approaching–and the likelihood of obtaining from–MnDOT mitigation funds tentatively allocated for replacement of the 38th Street Bridge. Motzenbecker said that such state funds are ancillary, and should not be tied to MnDOT’s approval of the “iconic” pedestrian bridge design to ensure “continuity” with the 38th Street Bridge. Hallstrom reported that the Pepitos site sold. Board members introduced themselves to KFNA’s new project organizer, Johanna Sahlberg Hallstrom. Wherley questioned whether the guidelines would carry the same weight as the neighborhood plan. Motzenbecker clarified that they would serve as an addendum to any completed master plan prepared in consultation with the city. Dolata suggested that perhaps the guidelines could be adopted as part of the city plan, an idea of which Wherley approved because they would “carry more weight.” Motzenbecker was not sure they could be so adopted. Lindseth raised stylistic concerns, noting that the guidelines should consistently begin with verbs and that footnotes should be abolished since no one reads them. Saddoris questioned whether the assertion in the guidelines that Kingfield is “safe” opens KFNA up to liability. Lindseth suggested that a neighborhood’s assertion regarding the safety of its public space–which occurs all the time in government brochures–is different than a landlord’s assertion to a tenant regarding the safety of private, rented space. Saddoris and O’Rourke each wondered whether the average reader would understand arcane terms of art such as “life cycle,” “grow homes,” and “supportive housing.” Dolata defined such terms. Johnson asked how developers will get copies of the guidelines. Dolata, Motzenbecker and Muschenheim variously suggested posting on KFNA’s website, making them available to the city, placing them in literature racks outside the KFNA office, and distributing at Redevelopment Committee meetings. Lindseth moved to postpone consideration of the guidelines (which he will edit) until the next board meeting, which motion carried unanimously. Lindseth has prepared a draft Memorandum of Understanding to memorialize the agreement between Mulroy’s Body Shop and KFNA regarding use of Mulroy’s parking lot and utilities for the Farmer’s Market. The MOU will be taken up at a later meeting. Linnes-Robinson reported that KFNA has obtained signatures representing about 2/3 of the necessary property along Nicollet. Signatures are due by the end of October. The owners of Ace Hardware and Mulroy’s may sign. The Bishop of the Mormon Church supports the project, but the CFO is pulling back. Linnes Robinson reported that city is in talks with Sears regarding redevelopment of the K-Mart site, which might impact Nicollet lighting. Wherley queried whether the lights could include baffles to deflect light downward to mitigate light pollution. According to Motzenbecker, Councilmember Dan Niziolek will address this issue in a task force. Motzenbecker reported that the Sept. 23 community forum was a “success,” with some 50 people in attendance. CHI will schedule a wrap-up session in mid-November. Wherley reported that a consortium of city and neighborhood groups is examining the K-Mart site, now owned by Sears. KFNA needs a representative, particularly because redevelopment of that site will impact corridor housing efforts. Wherley reported that KFNA’s annual fundraiser letter will reach homes Nov. 1, and encouraged all board members to give. Wherley also reported that the state is formally unveiling its plan for 35W bus-rapid transit (“BRT”) in December. Wherley also reported that the city may file suit against the state for pushing ahead with the 35W-Crosstown Reconstruction Project if the city’s demands are not met. Accordingly, KFNA’s efforts to find counsel for a potential suit are on hold. Linnes-Robinson noted that Lyndale Avenue will be repaired in 2006 according to a citizen plan developed 4 years ago. Hennepin County Commissioner Gail Dorfman will discuss the project at KFNA’s Dec. 8 meeting. Linnes-Robinson and Wherley also noted that the Park Board is swamped with tree removal, and will continue to cut throughout the winter and inventory holes for new trees. Joanna Sahlberg Hallstrom the new NRP Organizer was introduced. She replaced Liz Gibson-Gasset. Johannes Frazier updated Robert Lilligren, City Council Member on the 40 street bridge project. Lilligren stated that he is a big proponent of the use of bikes and pedestrian spaces within the city. He will is supportive of the project. David Motzenbecker and Mark Hinds met with Dan Niziolek, City Council Member and he is on board to support the bridge project. A stakeholder meeting is being planned for late October. Mark Hinds is preparing a presentation for the meeting. The group discussed who the crucial stakeholders are that need to be at the meeting. The proposed stakeholders include Hennepin County, RT Rybek, Robert Lilligren, Dan Niziolek, St. Paul Public Works, MN DOT, Minneapolis Park Board, Met Council, and a staff from Martin Sabo’s office. Johannes Frazier made a point to make sure that everyone with possible ties to or political interests in the bridge project are invited. Kathleen Varner stressed importance of not offending anyone as we are trying to build and secure support for the project. Steve Jevning commented that we need to make sure that future city council members know about this project, since Robert Lillegren and Dan Niziolek have 15 month left as elected officials.